On Monday 1st December I will be hosting a very special Nick Jr 'Craftmas Party'. From 1pm-3pm you can join us over on Twitter for lots of fun, games and fantastic prizes! We will be doing lots of crafts and games from our HQ (AKA Home) and sharing our creations with you. You can join in with crafts of your own if you'd like or you can just follow whilst we are tweeting and take part in the competitions. 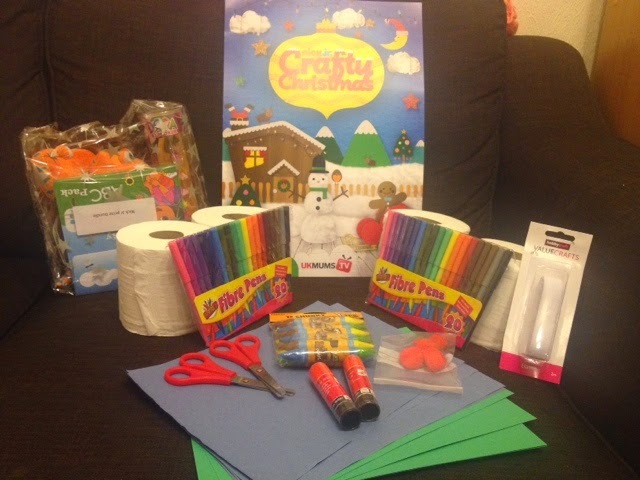 Make sure you are following us all on Twitter before the party @CarlyMarkham1 @UKMumstv @NickJRUK and make sure all your tweets contain the hashtag #NickJrCraftmas for your chance to win some great prizes. So what's inside my Nick Jr Craftmas party box? So don't forget to join us, I will post reminders leading up to the party! Also look out for the other mums who will also be hosting parties and giving away prizes.